The Bioplatforms Australia (Bioplatforms)-sponsored Antibiotic Resistant Pathogens consortium is generating a resource consisting of reference datasets of the core genome, transcript, protein and metabolite data for several infectious disease pathogens of importance to Australia. This ownership of this reference datasets resides with Bioplatforms. The consortium reserves the right to conduct a ‘global analysis’ across these genome, transcript, protein and metabolite reference datasets and publish the results in the scientific literature. However, in accordance with the Bermuda and Fort Lauderdale agreements, and the more recent Toronto Statement, which provide guidelines for scientific data sharing, Bioplatforms are committed to ensuring that data produced in this effort is shared at appropriate times and with as few restrictions as possible, to advance scientific discovery and maximize the value to the community from this Australian Government National Collaborative Research Infrastructure Strategy (NCRIS)-funded dataset. This policy describes the data associated with the consortium, roles and responsibilities of various consortium members and data users, and data release schedules. For each of the above species, several strains will be selected by the research champions, isolated and grown in several controlled conditions. DNA, RNA, protein and metabolite samples will be extracted and then data produced from several Bioplatforms network data generation facilities to examine the genome, transcriptome, proteome and metabolome of each sample. Following production, raw data will be uploaded to a password-secured central data repository, which is physically located in Perth and managed by the Centre for Comparative Genomics (CCG) on behalf of Bioplatforms. To ensure for disaster recovery, all data in the CCG-managed repository will be mirrored at a second site in Brisbane that is managed by the Queensland Cyber Infrastructure Foundation (QCIF). Data from the QCIF mirror of the central repository will be made available for direct download via a password protected web interface to authorised users (see Section 3). As and when determined by Bioplatforms, in consultation with various research champions, copies of the data and associated metadata may also be stored elsewhere (e.g. it is intended to make a proportion of the dataset available as a bioinformatics training dataset ). When this option is executed, access to any data copies must be controlled under identical conditions as required for the primary copies. Ultimately, the data generated in this project will be made available under open-access conditions to the international research community, through a variety of relevant established international data repositories including the European Nucleotide Archive (ENA), ArrayExpress, ProteomeXchange and MetaboLights - See also Section 4 – Data Sharing Schedule). During the “mediated-access” phase, the process for gaining authorisation to access the data is to email data.access@bioplatforms.com with name, affiliation, specific data for which access is being requested and a brief outline of the intended data use. This information will be assessed by the Data Sponsor Bioplatforms Australia and the appropriate consortium research champion(s). If approved, Bioplatforms, as the Data Sponsor will inform an appropriate Data Custodian to provide access. Data sharing and collaborative interactions are encouraged to advance scientific discovery and maximize the value to the community from this Australian Government (NCRIS)-funded dataset. Top-level information about the data, including what sequencing enzyme and chemistry were used, sample name, and other metadata. 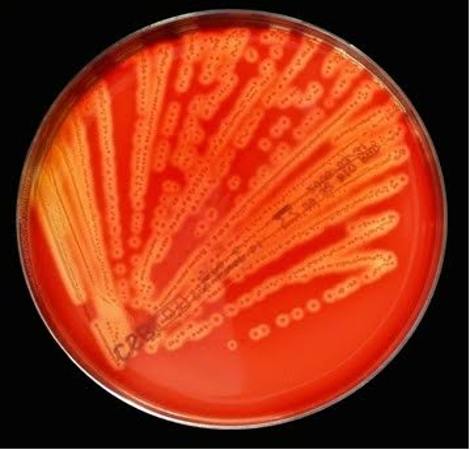 Selected subsets of the data generated through the Antibiotic Resistant Pathogens initiative will be used to develop training material for tutorials and in in-person workshops. These "cut-down" and/or "synthetic" data sets will be developed by consortium bioinformaticians to elucidate key features and concepts for demonstration purposes. It is expected that these data subsets used for training purposes will be made available to training workshop participants after they have finished the workshops and returned to their host institutions. Training workshop participants will only be able to access the raw and/or analysed data in its entirety when the datasets are made available publicly, as outlined in the timescales in this document. Data for these workshops will be provided to workshop participants via the RDS OMICs platform analysis environment, which is access controlled.